This entry was posted on 15 March 2012 by mon@rch. It was filed under iPhone . 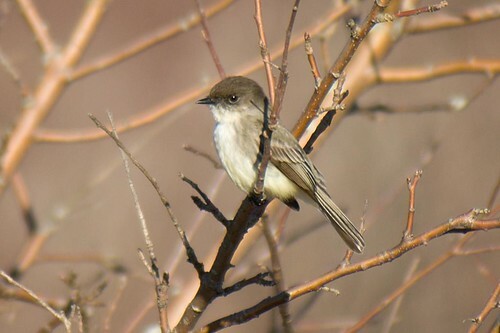 We’re on our second year hosting a pair of nesting Eastern phoebes in our porch rafters. Their “phoebe, phoebe” calls are the first I hear in the morning and I hear them throughout the day as they stay in communication with each other. They are year-round residents in south-central Virginia and have two broods each summer.